The holiday season seems to be a time of hustle and bustle where we’re always going somewhere, doing something, or planning for the holidays. This can leave one stressed and eventually unhappy. 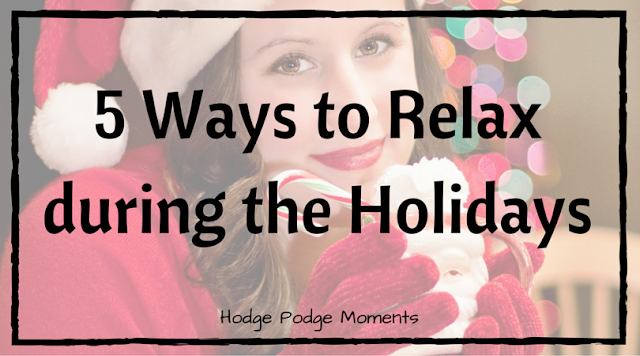 This is why I purposely scheduled a “relax” day as part of Holiday Moments. Today’s only task is to find a way to relax. 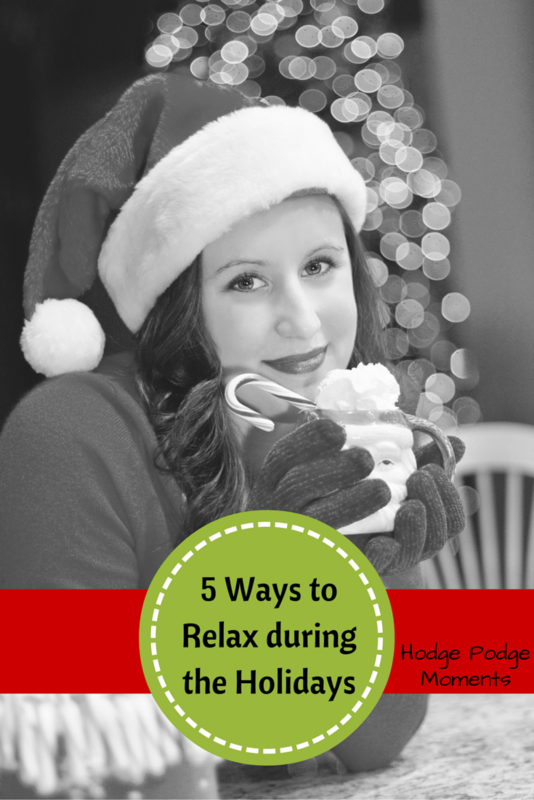 And to help you out, I’m sharing five ways you can relax during the holidays. Take a moment to read my ideas below and then get off the computer and go relax! 1. Unplug for the day. Disconnect yourself from the cyber world for a day. This may seem like something small but it can have a huge impact. We get so wrapped up in social media and what’s going on in the lives of others that we sometimes forget to focus on ourselves. 2. Enjoy a cup of hot cocoa and your favorite holiday movie. Make yourself a cup of hot cocoa and put on your favorite movie. Don’t have a favorite movie? Check out the ones available on Netflix or this list of suggested movies. 3. Have a pajama day. Don’t go anywhere today. Don’t do much today. Simply put your pajamas on and enjoy a day around the house. Take time to catch up on your favorite show or book. This may not sound relaxing at first, but you’ll be surprised at how relaxing a walk can be. Simply take in all the sights of the season and enjoy the crispness in the air. Allow the fresh air to help you clear your head. Pick your favorite method and pamper yourself for the day. Maybe it’s a massage or a pedicure. Maybe it’s something cheaper like a bubble bath at home. Whatever it is that you enjoy, take some time to treat yourself to something nice today. What’s your favorite way to relax? I’d love to hear about it in the comments!